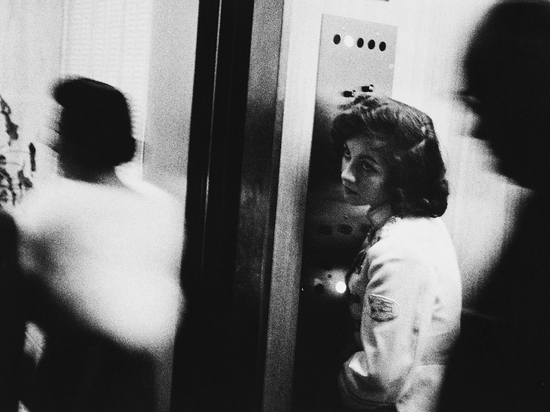 Robert Frank, "Elevator Girl, Miami, 1955" from "The Americans"
BILL MCCULLOUGH: In photography, music, painting, and many other forms of expression, there is work that strikes the perfect balance of technique and emotion that can leave one in awe. You may ask yourself, “how did they do that?” You are both photographers who have been in the trenches and attempted many things; therefore, you also have insight, understanding, and respect of what is truly difficult to accomplish. Is there a photographer, dead or alive, who both inspires you and stumps you? If so, who and why? 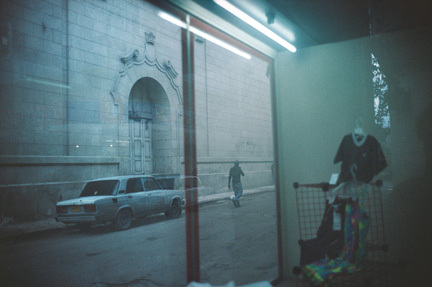 ALEX WEBB: Ever since I first picked up a copy of Frank’s The Americans –– sometime in the late 1960’s –– my favorite photograph in the book has always been the mournful elevator girl. I hesitate to say much of anything about it because Jack Kerouac in his introduction to the book said just about everything that needs to be said: “And I say: That little ole elevator girl looking up sighing in an elevator full of blurred demons, what’s her name and address?” What Kerouac latches onto is what has always most intrigued me about Frank’s work, its emotive heart. 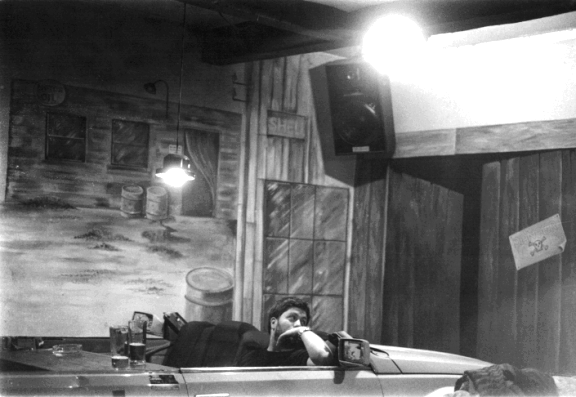 Somehow, Frank managed to make deep and surprising poetry out of the mundane stuff of the world of America. That quality is still what interests me most about Frank’s work. But looking back now at this photograph, I am also intrigued by how it speaks of another era in America. I can’t recall when I last saw an elevator girl. The notion seems quaint. It makes me almost nostalgic, nostalgic, among other things, for a more intimate world, where human beings –– including those in more menial positions –– somehow seemed to count. Now, soulless elevators in Miami gleam of burnished chrome. Chimes denoting each floor have replaced the human voice. Modern demons may sometimes stalk these elevators, but mournful elevator girls are long gone. I guess today, Kerouac would have to go elsewhere to find a name and number. 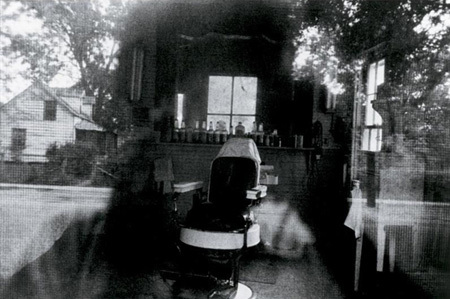 Robert Frank, "Barber shop through screen door, McClellanville, SC, 1955," from "The Americans"
REBECCA NORRIS WEBB: From the moment I first saw a print of Robert Frank’s barbershop in McClellanville, South Carolina, the image has lingered with me, a sign –– I’ve learned to trust over the years –– of a truly poetic image. Like the strongest and most resonant poems, the image sends me into a kind of reverie each time I view it. I think this has something to do with the fact that it’s a reflection, one that blurs inside and outside, like a daydream. So, for me at least, Frank’s mysterious barbershop blurs into the barbershop in my small town in southern Indiana where I was born. Like Frank, I, too, have pressed up against a small town barbershop’s screen door, have seen into the interior thanks to my own shadow. Come to think of it, the screen door itself seems somehow quintessentially American (I don’t recall coming across that many screen doors in Europe, for instance…). The screen door is welcoming yet protective, practical yet vulnerable, luring both june bugs and photographers alike. Rebecca Norris Webb, Havana, 2008, from "Violet Isle"
EMILY PEDERSON: Rebecca, what is it about birds? In Violet Isle, birds are constantly appearing in your photographs. Why is that? What is it that draws you to birds? RNW: As someone who comes out of the street photography tradition, I only photograph what I come across in the world, and the most common creature I found in Cuban menageries was the bird –– from roosters and peacocks and woodpeckers to cockatiels and pigeons and parrots. I love the rich and resonant questions this suggests: Of all the creatures, why are birds the most popular animal in Cuban menageries? What does this suggest about the individuals who have these menageries? What does this suggest about Cubans and their relationship to nature? And what does this suggest about Cuban culture more generally? Only birds can reveal to us dying by flying. Personally, when I first started photographing birds in Cuba, it was a period in my life that roughly corresponded to my acquiring my first pair of professional birding binoculars, inspired in part by the red-tailed hawks in Prospect Park near my apartment, the same kind of hawk that’s also found in my home state of South Dakota. During one of my last trips to Havana, I remember the delight of watching a hawk attempting to open her wings just inches away from me –– instead of my observing the raptor from the usual distance of my field glasses. 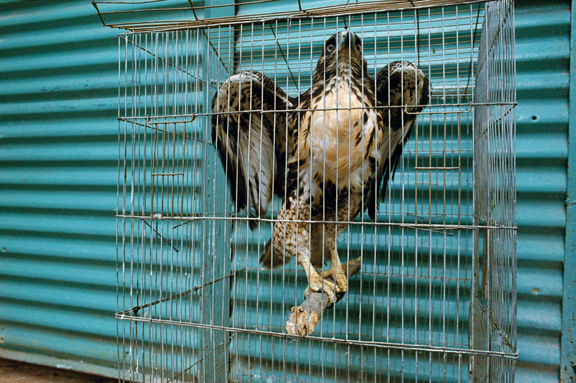 Yet simultaneously I also felt a something catch in my throat as I watched the hawk fumble, unable to spread her wings fully in so small a cage . Looking back, I realize that I often had this complicated and seemingly contradictory emotional response –– delight and discomfort –– while photographing caged birds throughout Cuba. Alex Webb, Havana, 2008, from "Violet Isle"
EP: Alex, when you photograph you seem to go back again and again to a particular place. You don’t move there for a while to carry out your work, but you return over and over. How does that affect the way you see, the way you work? AW: My meanderings in a country are rarely planned. For instance, in Havana, even when I find myself working in the same neighborhood, it is often somewhat by chance: I wander into the same locale three days later –– or even, perhaps, a year later. And even if I contemplate returning to a specific area, it is often a spur of the moment decision: I find myself completing work in one street or block and suddenly decide to return to somewhere that I have been before. Sure, sometimes I may decide that a street or a market that I photographed in the morning might be more interesting in the afternoon or vice-versa, but as often as not the return to a particular locale is serendipitous. For instance, the above photograph was taken during my last of 11 trips to Havana over 15 years. Who know how many times I had walked down this particular street during my other trips. But the particular mood and color and feel of the street caught my eye in fall 2009. I was born in Newport, Rhode Island in 1989. I study photography, Portuguese, and Spanish at the Gallatin School at New York University. My grandfather was an undersea photographer and cinematographer, and documented undersea life in the Bahamas in the 50s and 60s. So there were always neat old cameras in my house as I was growing up, and I started to take photographs early on. The summer after my junior year in high school I lived in Peru for a month doing volunteer work at an orphanage. It was my first true experience of life elsewhere, and it played out like a fever dream. I took thirty rolls of film, and after that was significantly more fascinated by photography. 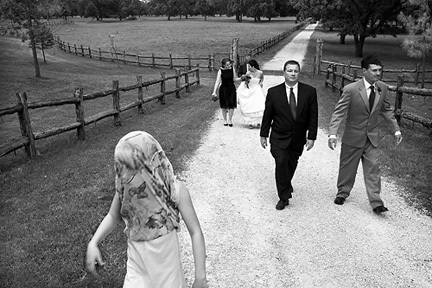 American photographer Bill McCullough was born in 1963, in Dickenson Texas. He graduated with a degree in Plan II economics from the University of Texas at Austin in 1986. He is a self taught photographer. His work has been published in Spot (Houston Center of Photography), United States; and Photonews, Germany. In 2008, his work was purchased for the collection of the Museum of Fine Arts, Houston. His first solo show will take place at the SRO gallery at Texas Tech University in March, 2011. He has been chosen as a 2010 Fotofest discovery. He currently resides and works in Austin, Texas.